December 24, 2013 / A lot could be said about Mail.app, but for now at least fix the missing plain text option. 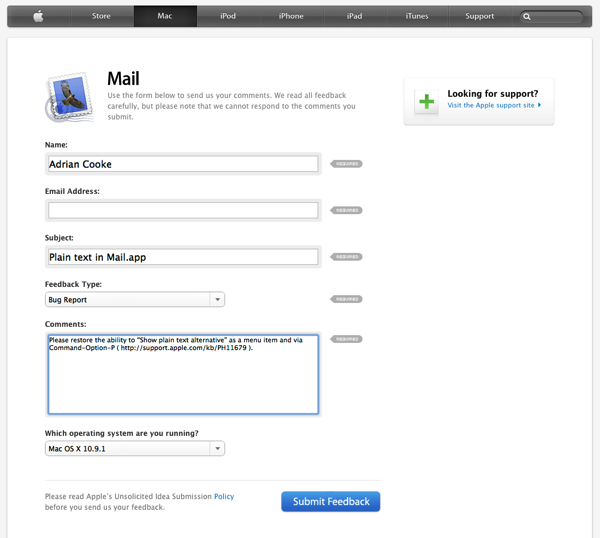 Apple removed the ability to view plaintext alternatives in the latest version of Mail. This is silly. 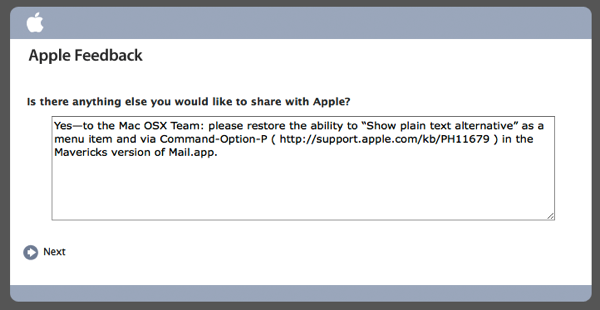 Please use Mail > Provide Mail Feedback to ask the Mac OSX Team to restore “Show plain text alternative” as a menu item and via Command-Option-P in the Mavericks version of Mail.app. I added it to a recent Apple Store survey for good measure. Update – Feb. 25: See also: Mail improvements in OS X 10.9.2 by Joe Kissell.